The best European festivals, artists and promoters of 2011 were revealed last night at a sold out ceremony, featuring performances from James Vincent McMorrow, Selah Sue and Dog is Dead. Taking place at Groningen's De Oosterport in The Netherlands, the third edition of the awards was bigger and better than ever with over 350,000 votes and 200 festivals taking part from 32 different countries. A record breaking edition! Christof Huber, General Secretary YOUROPE commented: “Michael Eavis is an icon in the European festival scene and in my view, Glastonbury is the mother of all European festivals. 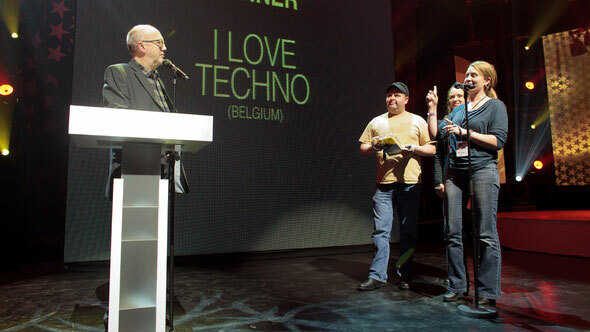 He is just the right person to get the Livetime Achievement Award at the Festival Awards Europe."